assumes the following mortality rates: bait 10%, lure 3% and fly 1%. These differences are primarily driven by how frequently a fish is deeply hooked, and make sense when you think about how a fish eats a bag of roe versus takes a fly. 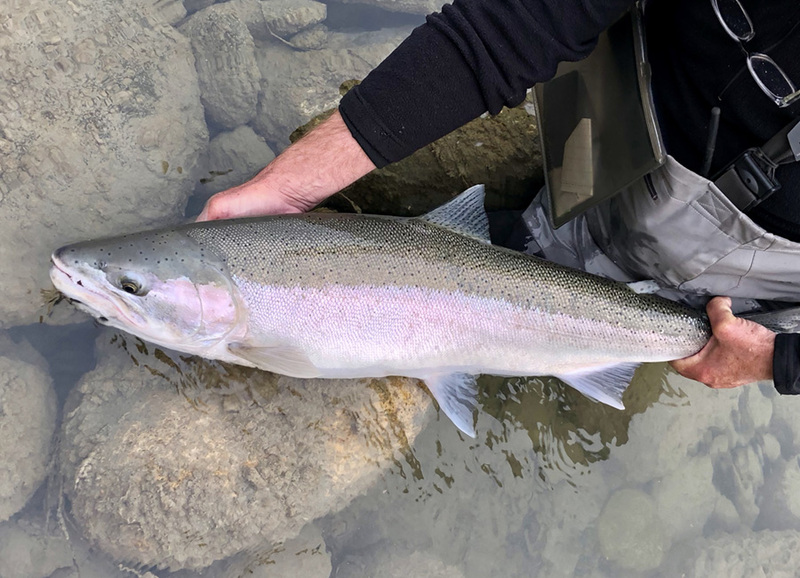 A recent study on British Columbia’s Bulkley River wild steelhead showed a survival rate three days post-capture at 95.5%. to fish kept in the water. Learn more about the research here.